For many years, efforts to profile the antibiotic resistome of the human gut focused exclusively on two extremes of human society: Western, industrialized cities and remote hunter-gatherers. While these studies were undoubtedly important, they overlooked the majority of the world’s population, which exists somewhere between the two extremes. Indeed, three-quarters of the world’s population lives in low- and middle-income countries [1-2], with almost a billion in slums (World Health Organization) . In rural areas, though many have intermittent access to towns and cities, 16% of the population does not use improved drinking water sources, and 50% still lack access to improved sanitation facilities (United Nations Millennium Development Goals Report 2015) . From an antibiotic resistance perspective, contact with both subsistence agriculture (including livestock and soil) and population centers (including processed foods and a dense, diverse population) could increase the diversity of bacteria and antibiotic resistance to which these populations are exposed. 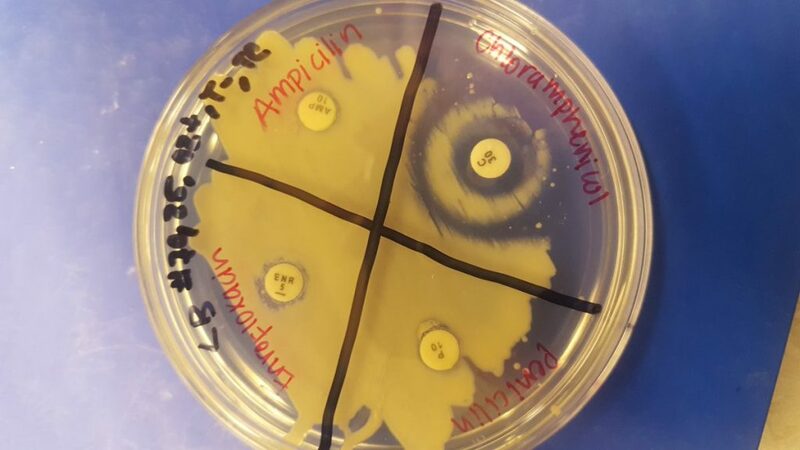 Furthermore, the high incidence of infectious disease and widespread availability of antibiotics without prescription, coupled with a lack of clean water, could contribute to the spread of bacteria and antibiotic resistance genes. In fact, industrializing countries were responsible for the majority of the worldwide 36% increase in antibiotic use between 2000 and 2010 . To address this critical gap in our understanding of the human resistome, we recently published a large-scale study of the microbial communities and antibiotic resistance genes associated with the human gut, waste disposal systems, and the environment in a rural Salvadoran village and a Peruvian slum (“Interconnected microbiomes and resistomes in low-income human habitats”) . I led this study along with Pablo Tsukayama as part of our respective PhD thesis projects in Gautam Dantas’s lab (http://www.dantaslab.org/) at Washington University in St Louis. We began our study in 2011 with the help of Dr. Douglas Berg (Professor Emeritus, Washington University in St. Louis), who set up a collaboration with professors Maria Teresita Bertoli, William Hoyos-Arango, and Karla Navarrete at the Universidad Dr. José Matías Delgado (UJMD) in San Salvador to investigate the microbiota of rural Salvadorans. In parallel, we began a collaboration with the Universidad Peruana Cayetano Heredia (UPCH) in Lima, Peru, to study the microbiota of residents of urban slums. In retrospect, I had signed up for a uniquely challenging graduate experience. A mudslide destroyed the first village we had intended to study, and the village we finally selected was inaccessible during the rainy season when the mountainous dirt roads became impassable. 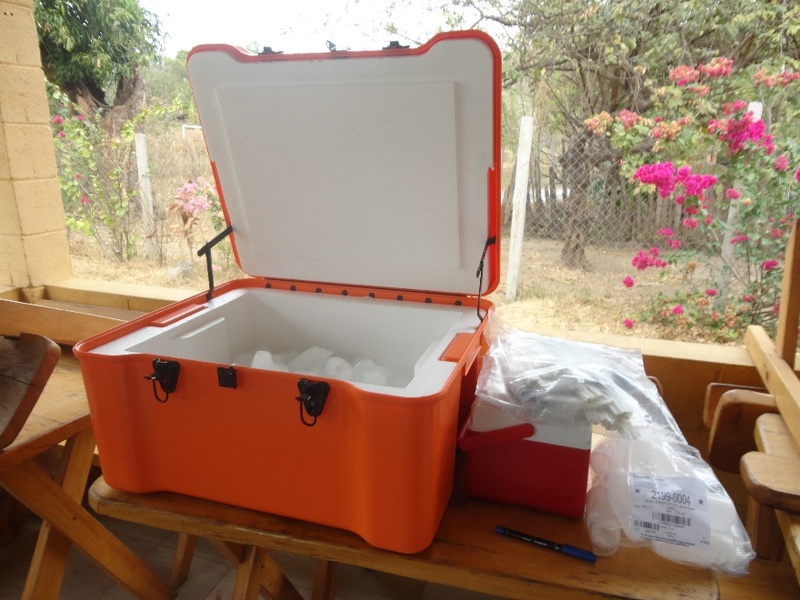 There was exactly one manufacturer of dry ice in San Salvador, who was able to produce just enough dry ice in a single day for us to complete sample collection. Furthermore, though it may be difficult to believe, human feces was the easiest of the samples to import into the US: soil and animal feces, with their potential for the introduction of invasive species, are strictly regulated and required not only import permits but federal inspections of our laboratory space. To top it off, my Spanish was limited to one college semester and a year of frantic Rosetta Stone, and Gautam speaks no Spanish at all, which severely restricted our ability to communicate on the ground. Now in my postdoc, I am sometimes amazed that Gautam was willing, in his first five years as a PI, to invest serious resources in two such high-risk projects. 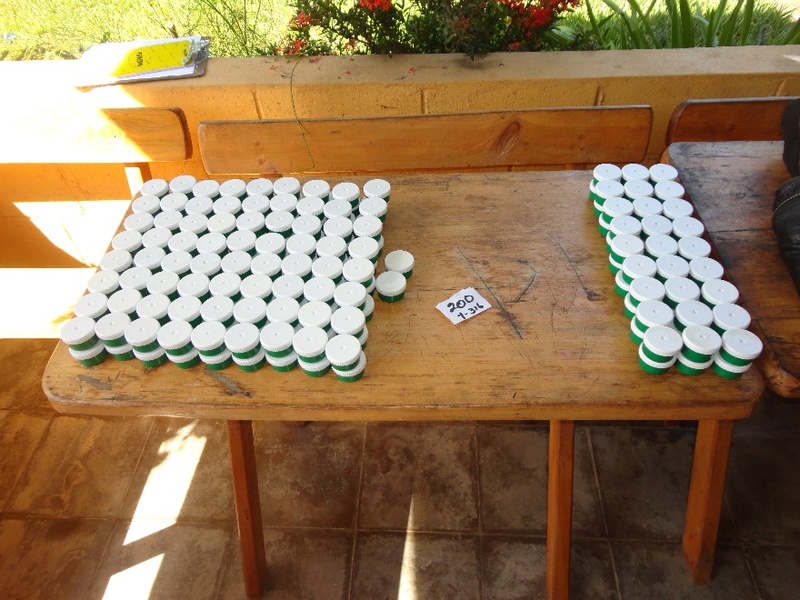 Despite the challenges, we were able to successfully collect hundreds of samples from the village at multiple time points over two years, forming the basis for a longitudinal and cross-sectional profile of the microbiota of rural El Salvador. The lion’s share of the credit for this achievement goes to the Salvadoran team, whose creativity and dedication in solving the numerous obstacles that stood in the way of the project was outstanding. The primary responsibility of the faculty at UJMD is the teaching and practice of medicine. Unlike in the US, where we expect to be compensated for our research efforts, our collaborators advanced our research in their free time out of a passion for science and a desire to see the nascent Salvadoran research infrastructure grow. They used their experience treating people in rural locations to help decide which samples to collect, doggedly pursued regulatory officials to get the study protocol approved, and coordinated the sample collection with residents of the village. When a tree downed in a hurricane knocked out power for two weeks to the sole university laboratory where our samples were stored, they miraculously found alternate refrigeration sources. Two of the authors on the paper, medical students Melissa Mejía-Bautista and Giordano Sosa-Soto, even interrupted their medical education for a year to learn molecular biology in our lab, greatly contributing to the progress of the data production and introducing molecular biology techniques to their university. In addition to our counterparts in El Salvador, I was shocked by the level of involvement and assistance we received from the village itself. Although most residents are subsistence farmers who are sometimes employed nearby, the village is extremely well-organized and headed by a mayor with a clear vision for their future. 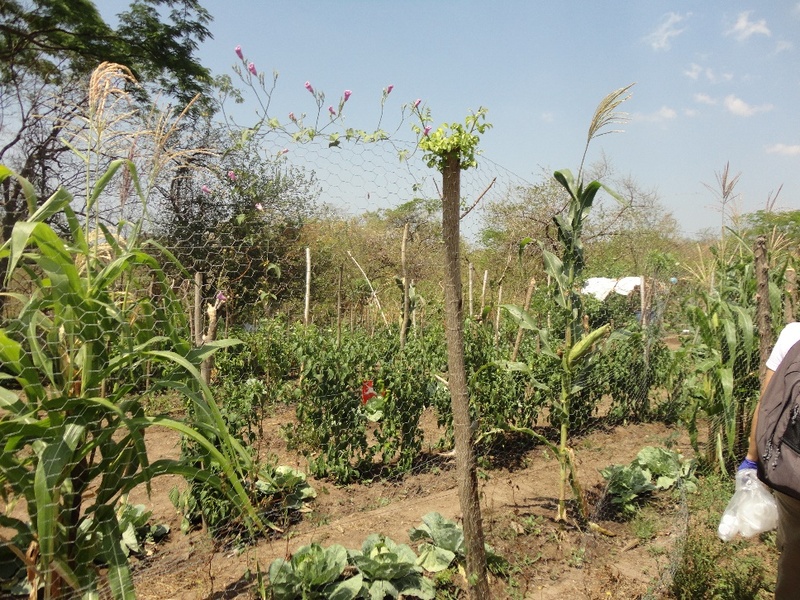 With the help of a local charitable organization, Epilogos Charities, Inc., the village had pursued a number of community improvement initiatives, including honey and fish farming co-operatives. 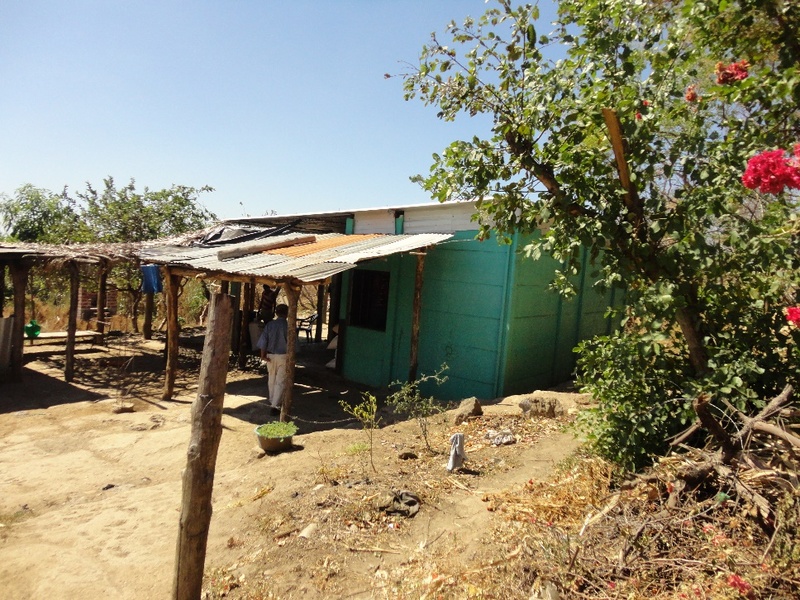 The community also had prefabricated houses and composting latrines for each household, which use heat, dessication, and high pH to sterilize feces over the course of several months; the sterilized waste is then used as fertilizer for agricultural plots. The mayor was very proactive about checking in with us during each sample collection about any new information or benefits that had resulted from their participation in the study, and we sincerely hope that the information we gathered about the composition of their gut microbiota, as well as potential sources of antibiotic resistance genes, will lay the groundwork for future investigations and public health interventions. For example, studies such as ours may spur improvements in sanitation infrastructure in rural El Salvador, peri-urban Peru, and beyond. Given the enormous diversity of antibiotic resistance genes in the environment, the ready availability of antibiotics, and the rapid globalization and urbanization of our world, one of the best strategies for curbing the development of antibiotic resistance will be reducing the incidence of infectious disease before antibiotics become necessary. To do so, we will need creative sanitation solutions that can be deployed in places with limited income and limited water. 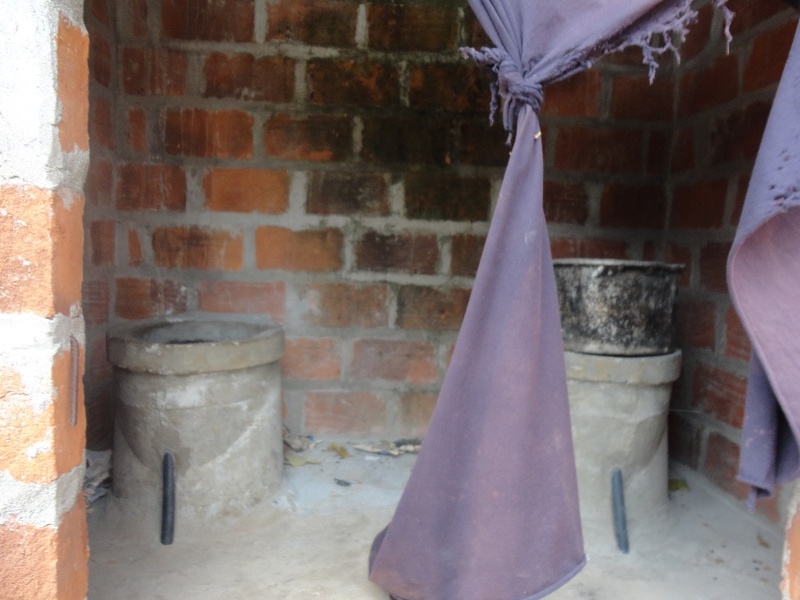 Recently, a team of engineers at Washington University has begun work on improving the sterilization of human feces using composting latrines. Additionally, soon after our project began, El Salvador banned Intestinomicina, a cocktail of antibiotics available over-the-counter to treat gastrointestinal ailments. Although it was banned for unrelated health concerns, our research may draw attention to the ease of transfer of antibiotic resistance genes, leading to better stewardship of antibiotics. Hi Erica, thanks for writing this interesting post. I found it very useful because I am working more or less in the same topic, comparison of the functional and taxonomic profile of the gut microbiota from individuals living in rural vs. urban areas in Ecuador. We have samples from villages and also metadata about the water source, lifestyle, antibiotic usage, pets, food, etc. I’m still doing experiments, 16S amplicons, but I would like to compare my results with your paper published last year on nature. Hi Juliana, that sounds extremely interesting, and I look forward to seeing your results. You can find our published 16S amplicons, shotgun reads, and assembled functional metagenomic contigs at SRA (PRJNA300541).